Authentic, original campaign button. 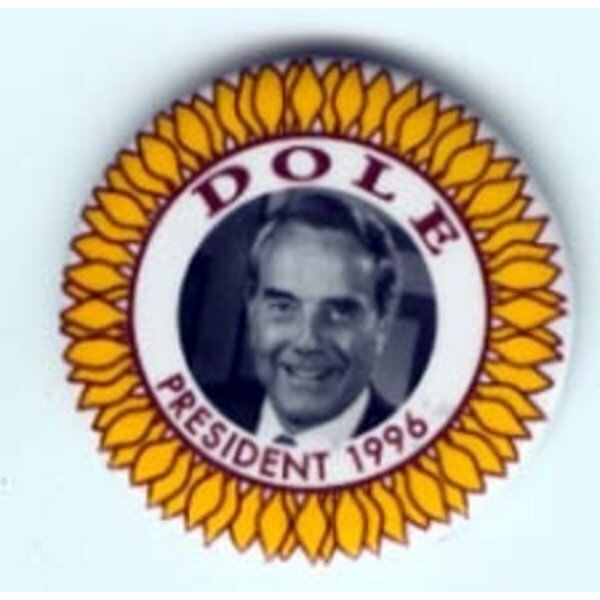 Sunflower and photo background with red lettering "Dole President 1996." 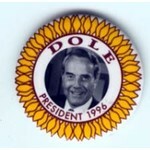 All buttons are in good vintage condition.